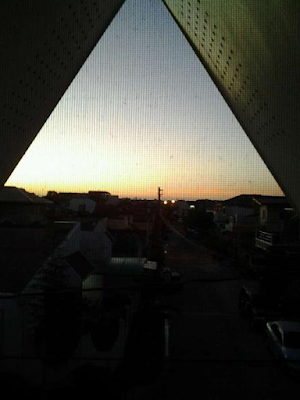 This was the sunrise that greeted me and my high school friends at Mikka's attic earlier this morning. As we talked about life, love, and the future, I realized that I truly cannot ask for a better set of friends. I must admit that college truly changed us, and that everything I was afraid that would happen before we left St. Paul did happen - we drifted apart, we had new friends, we saw less and less of each other. But life has a way of putting the puzzle pieces together when you need them to. Just because there's nothing wrong with the status quo doesn't mean it's all right either. Sometimes, all it takes is a little food, perhaps a little alcohol, and a lot of hours of talking to realize that friendships require just as much devotion and commitment as relationships do - but unlike boys, friends don't walk away. They stay. They choose to stay.